I was part of the 'Creatives' teams of the cultural and technical festivals of IIT Guwahati during my freshman year, and was involved in the making of some creative posters released from the social media accounts of the fests. 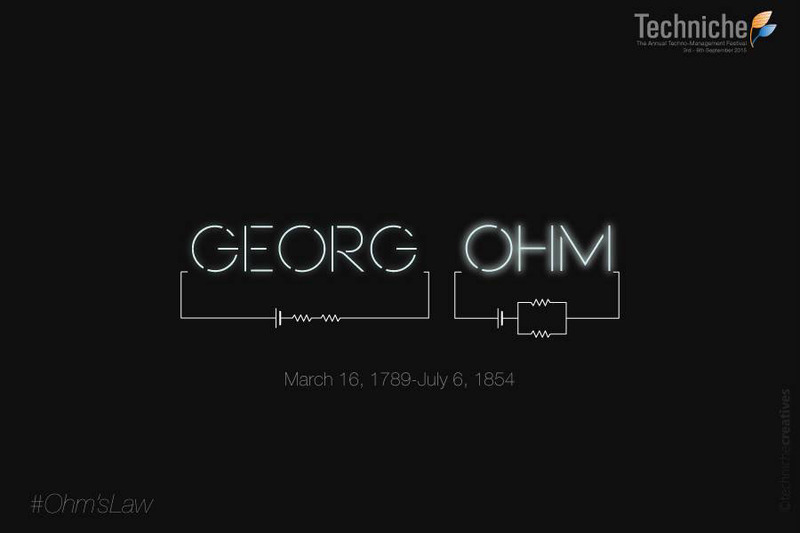 The first poster I made that got published on the facebook page of the technical fest was for Georg Ohm's 226th birth anniversary. Ohm was famous for Ohm's Law, and I decided to show the Ohm's Law being applied on a circuit in the shape of his name. It was my first time experimenting with the Adobe CC Suite and digital compositions. The poster came out quite clean, and was appreciated. 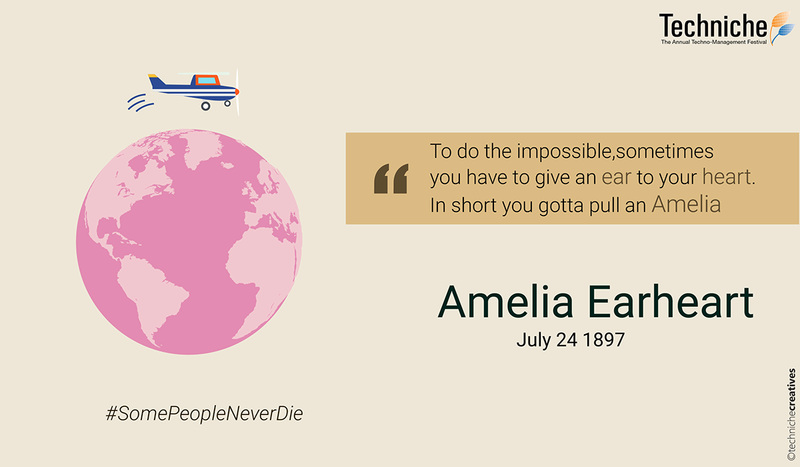 Similar to the Georg Ohm's Poster, a poster was scheduled to be released for the birth anniversary of Amelia Earheart, the first female aviator to have crossed the Atlantic Ocean. This time, I chose to play with her name, and to create a quote out of it. Also, since it had a very feminist significance, I chose warm, unsaturated colors. The introduction posters for the personalities coming for Industrial Conclave, Techniche'16 were planned to use low poly portraits of the personalities. 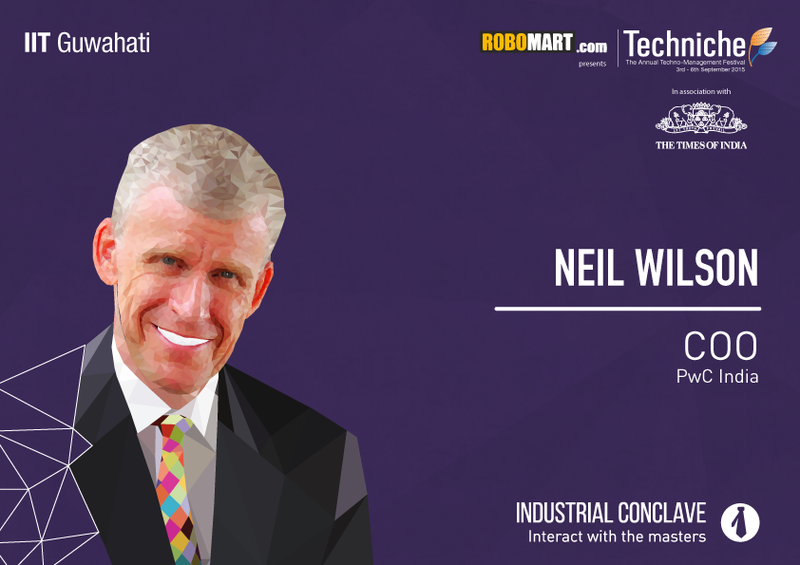 I was tasked to make a low poly portrait of Neil WIlson, COO, PWO India. I had no clue what a low poly portrait was, and the whole process took me over 12 hours, but the final outcome was oddly satisfying. On the occasion of Father's Day, I planned to surprise my Dad by making a poster for him. 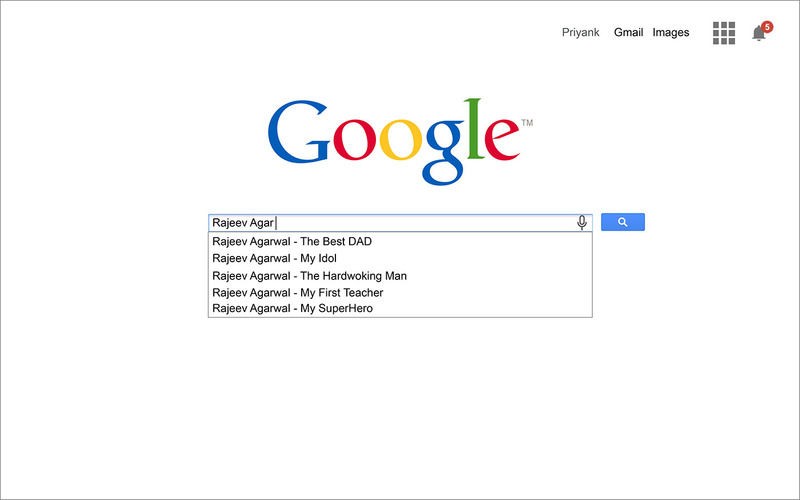 I made a Google Search Suggestions page with the suggestions showing what I felt about him. This was my first encounter with the Chrome Inspector Panel, and I ripped off the fonts and colors used on the Google Landing page, and made almost everything vector. My Dad was elated on seeing the poster, and it also proved that I was learning something, for the very least. Google used to have a serif logo back then!